Photo above: The Rivers Triplets of Long Island are U12 racers who train at Windham Mountain, New York. Left to right: Helaina D. Rivers, Henri D.L. Rivers IV, and Henniyah D. Rivers. In a 12-month period that has seen perhaps the greatest re-examination of race and race relations in America in the past half-century, the annual meeting of the National Brotherhood of Skiers (NBS) in Squaw Valley in March 2018 had particular resonance. 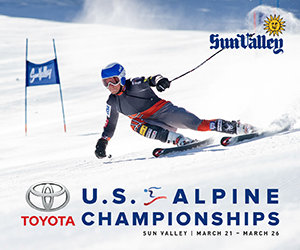 While members did what all ski clubs do—ski, party, race, don costumes and have fun—they also quietly went about their 45-year-long effort to diversify what has been described as one of the whitest large-scale recreational sports in the country. For years, skiing in America was like golf and tennis and primarily the province of Caucasians. You didn’t see many more African Americans on the slopes than you did at a rodeo. But just as with golf, tennis, and even rodeo, skiing has been getting more diversified. And much of that is certainly due to the NBS. 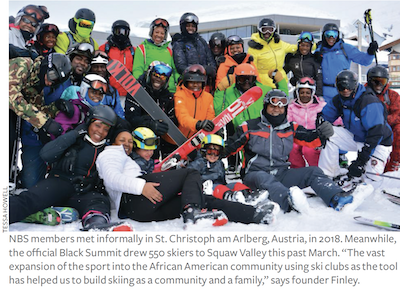 It’s one of the largest ski councils in America, comprising 55 predominantly black ski clubs with 3,000 members, and they’ve introduced tens of thousands of African Americans to the sport since 1973. “When Art and I put this together,” says Finley, “it was just to meet and socialize, and discuss issues common to the 13 clubs that attended.” Three hundred and fifty people turned out for the first of what would become annual meetings—alternating Black Summits with the Annual Meeting/Challenge Cup, a.k.a. Mini-Summits—held at Aspen Mountain in 1973. What resulted was a plan to form a national organization, “With the intent of spreading the sport to the African American community,” says Finley. Team, influenced the organization’s first mission statement. The National Brotherhood of Skiers was officially formed over Thanksgiving weekend 1973 in Salt Lake City, Utah, and its primary purpose, endorsed by acclamation, was to place an African American on the U.S. Ski Team. “We’ve been very successful, and it’s all been done with volunteers,” says Finley. 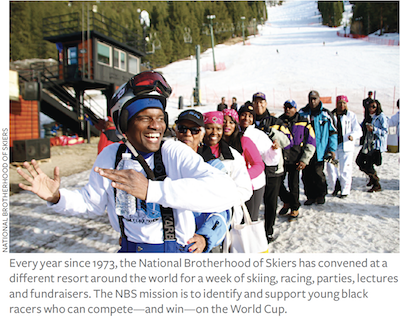 “The vast expansion of the sport into the African American community using ski clubs as the tool has helped us to build skiing as a community and a family.” It was a defining effort that soon became part of the NBS motto: To identify, develop and support athletes of color who will WIN international and Olympic winter sports competitions representing the United States and to increase participation in winter sports. 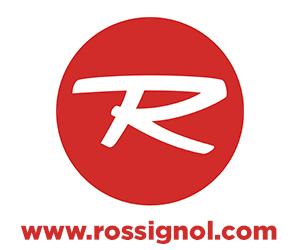 Philpotts was the literal poster-child the NBS was looking for, in the late 1960s becoming the subject of a national ad campaign by Rossignol. “I was told it was the first ski poster ever with a black person.” In 1975, he won the first NBS Black Summit Challenge in Sun Valley at age 14. 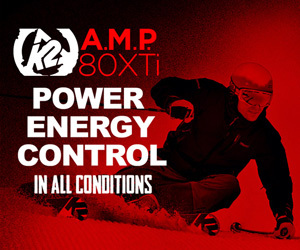 In 1991, he appeared in a second Rossignol ad, for the company’s blade-skates and skis. A, started as an alpine ski racer, switched to skiercross in 2008, and represented Jamaica at the 2010 Vancouver Olympics, where he placed ninth. Halfpipe skier Zyre Austin won a silver medal at the FIS World Junior Championships in Italy in 2013, was an alternate for the 2014 Sochi Olympics, and turned pro in 2015. A brother and sister duo from Alaska, Andre and Suki Horton, became the most accomplished African American athletes yet in U.S. ski racing. They were the first black male and female members of the U.S. Alpine Ski Team and raced on the NorAm and Europa Cup Tours. 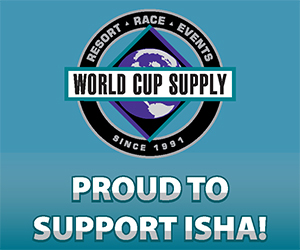 Suki had three top-15s in FIS races in Alyeska, Alaska in 2004, including the U.S. National Championships. 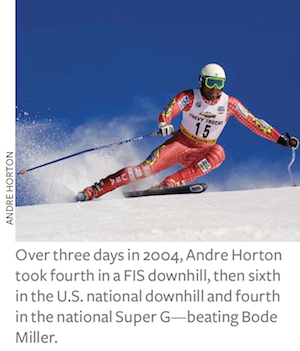 Andre was the first African American to win a FIS race in Europe (in Sella Nevea, Italy in 2001). Over three days in 2004, at home in Alyeska, he took fourth in a FIS downhill, then sixth in the U.S. national downhill and fourth in the national Super G—beating Bode Miller in the national championship races. “The NBS was paramount in our careers,” says Andre. “With both our parents being schoolteachers, supporting two professional skiers with Olympic dreams is very difficult. The NBS equipped Suki and I with financial scholarships to race worldwide.” Both retired in 2004 and Andre, who is now a photographer in Alaska, served for four years on the board of the U.S. Ski Team/USSA. At its peak, the NBS had more than 7,500 members from nearly 80 clubs. And when they come together to celebrate every year, they meet all over the U.S. and the world. 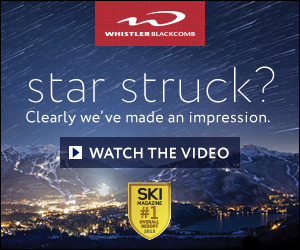 They’ve congregated at far-flung venues ranging from Lake Placid, New York to Heavenly Valley, California, Big Sky, Montana, Sun Valley, Idaho (five times), Banff and Whistler in Canada, and Innsbruck, Austria. Colorado is an NBS favorite, including six events in Aspen/Snowmass and also in Steamboat Springs, and four in Vail, where in 1993 they held what is said to be the largest ski club event ever, with over 6,000 in attendance. Along with skiing, snowboarding, racing, lessons and tours, the meetings also host board meetings and focus groups, guest speakers, fundraisers, GospelFest with a sermon and choir, comedy shows, and live music. Special guests Sinbad and Mario Van Peebles were in Vail in ’93, and Raheem Devaughn performed at Snowmass in 2009. Like many ski clubs, the NBS took a hit in membership numbers during the last recession. The cushy deals that clubs have traditionally been able to strike at resorts are now available online and through multi-resort ticketing. Plus ski clubs are graying and not replacing members who retire. 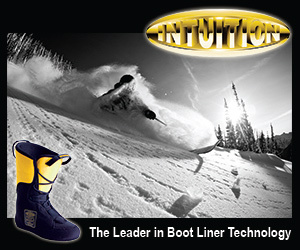 The average age of NBSers hovers around 50, while 65 percent of winter sports participants, per SIA, are 44 and under. Longtime Aspen resident Jay Cowan is the author of several books, including The Best of the Alps. He has won multiple awards, including the Harold S. Hirsch Award (North American Association of Snowsports Journalists) and the Lowell Thomas Award (Society of American Travel Writers), among others. 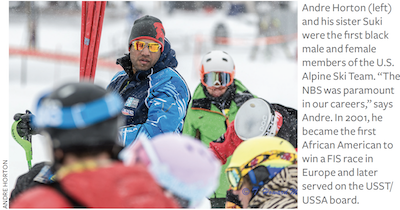 CLICK HERE TO READ RICK KAHL’S ANALYSIS OF HOW BLACK PARTICIPATION IN SKIING HAS CHANGED, STATISTICALLY, OVER THE YEARS.